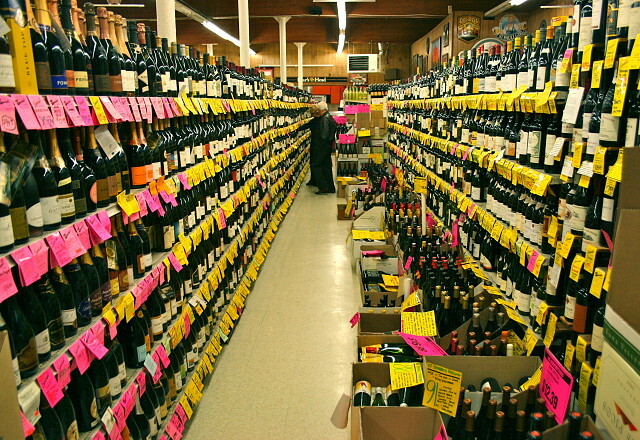 We live in a small condo in Seattle --our wine cellar is at Pete's, the neighborhood store less than a five minute walk down the street. People come from all over the city for the prices there. When our Canadian neighbor, who owns a wine store in the Gulf Islands, and has been here, asked me to take some photos of Pete's for them as they remember it as having "friendly but shop-able clutter", I thought OK, blip it. Why they would want to turn their more elegant store to shop-able clutter is beyond me. Pete's also sells some vegetable and regular food - it's a godsend when there is no time or the weather is horrid.